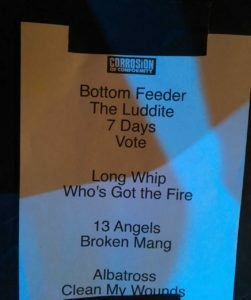 Corrosion of Conformity Perform at Seattle’s Showbox SODO – Fans waited a long time for the band to have Pepper Keenan back as the frontman with COC and it finally happened. 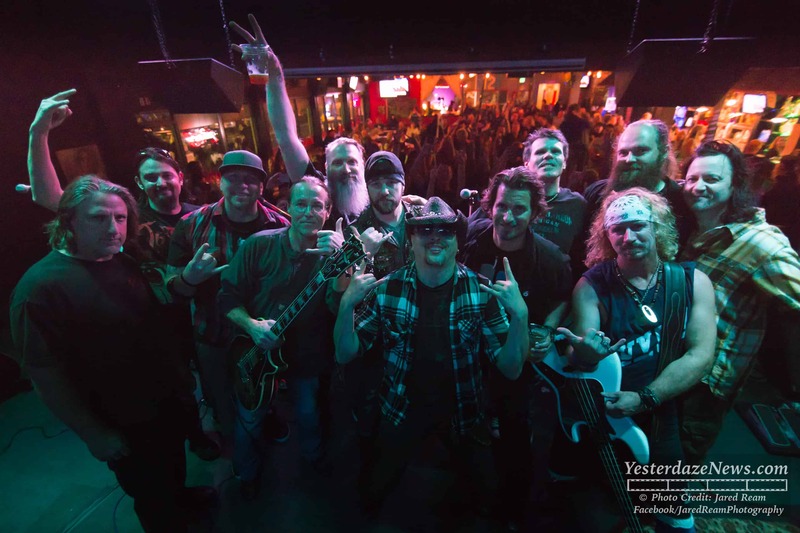 The band spent some time out on the road then laid down the tracks for their January 12, 2018 release of ‘No Cross No Crown’ through Nuclear Blast Records. Before their release date could even arrive, COC got the call from Papa Zakk’s team to join them the road with Black Label Society and Eyehategod for a two month-long massive North American tour and who says no to Zakk Wylde? Pretty much no one! 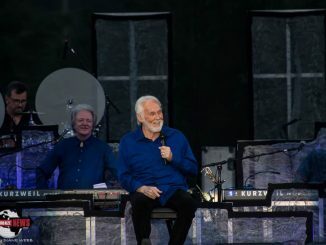 Fast forward to February 19th and Seattle’s tour date had arrived to the delight of many long time fans! Fans lined up down the city block in freezing temperatures to make sure not to be late for this sold out show. As the doors opened, the security staff worked quickly to move everyone from the outside line inside in time to warm up a little before the show kicked off. Second in the lineup for the night, COC took to the stage as fans quickly noticed Reed Mullin missing from the lineup. We later learned he had personal business that had to be addressed elsewhere that kept him from being in Seattle. Fans certainly missed having him here and wish him well, but the show… it went on without a hitch. It was a killer sight watching the well-oiled machine that is COC performing together once again. The band came out strong and laid down track after track of their classic sound along with new tracks from ‘No Cross No Crown’. The fans loved every minute of it too! It was like COC had been the same line up forever. What a great show live show to see and we certainly hope to COC back out in Seattle sooner rather than later. If you haven’t checked out the new album ‘No Cross No Crown’, we reviewed it here.